Very excited to host The Holey Kids tonight! 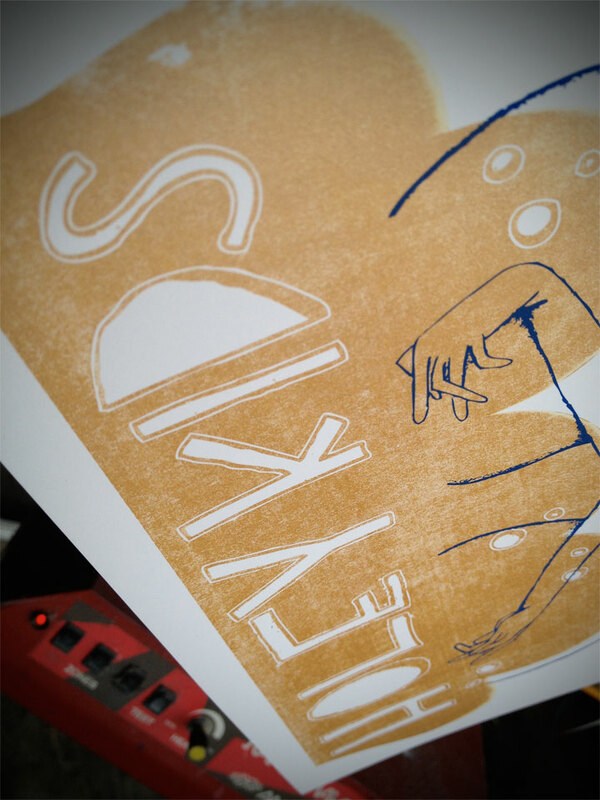 If you appreciate artwork by artists like Os Gemeos or Neckface, you will definitely like the stylings of The Holey Kids! Eli and Katie were up at the shop late with us last night hanging work and printing posters. The work is all bordered in antique frames and eclecticly hung in sporatic batches on the walls. The posters have a great color scheme of metallic gold, bright green, and a subtle marine blue for the definitition. Don't miss out on a really unique show! Katie and Eli will also be bringing a batch of 'zines and we even printed up a new edition of the Drink & Draw 'zine to give away as well. Show starts at 8pm and lasts until 11! See you tonight!